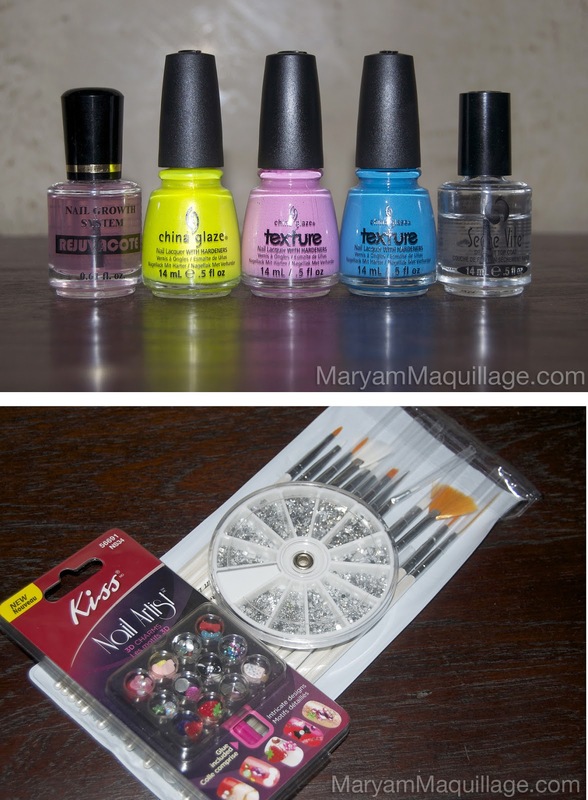 Maryam Maquillage: Bright, Textured & Happy -- 3D Nail Art! Hey guys :) Today's nail art wasn't planned for a post, it was merely a practice design I played around with a few days ago while testing out some new polishes. I'm posting this here today for several reasons, first, to brighten my somber mood, and second, to symbolize hope through art. Occasionally, I like to go out all with my nails and makeup, as channeling my creativity allows me to dream and deal with every day living. Art helps us escape and cope with the sometimes harsh reality of life and provides a necessary safe haven to release our frustrations and fears. With all the unfortunate current events -- the bombings, the shootings and the natural disasters -- we must find peace within ourselves, and ART (music, dance, visual art) is one of the few mechanisms that helps keep us sane and hopeful for a brighter tomorrow. Coming from an artist's background, I release my inner feelings through artistic self-expression. Although I don't paint or sing as much as I used to, I have found a way to express myself through nail art and makeup. Confession: I love nail art even more than makeup because it has no boundaries and I can wear my art for a week! I live for vibrant colors and bright combinations, and I also love to experiment with new nail technologies like textures, and 3D effects. Today's nail art is exactly that -- a fun compilation of mini-designs reflecting my mood from a few days ago: cheerful, fun, easy-going experimental and optimistic. China Glaze Nail Lacquer Texture Collection in Unrefined (pink lilac texture) -- such a fun shade and finish, perfect for toes or nail art! China Glaze Nail Lacquer Texture Collection in Of Coarse! (bright sky blue texture) -- bright and vibrant, in a funky sandy texture! OMG Alert! China Glaze Texture Collection is my favorite CG collection thus far -- the colors are fun, vibrant and joyful and the 3D finish is so cool and clever! The texture feels a bit like sand-paper, but not abrasive or harsh whatsoever, so it won't scratch or pull on your stockings. One coat is all that is needed to achieve opaque coverage and an awesome textured effect. Two thumbs way up!! 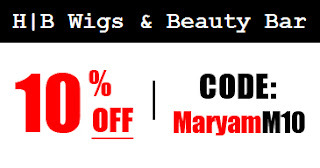 Get yours at HBwigs.com and use my 10% OFF Coupon Code on this polish or any other merchandise from the HB Wigs & Beauty Bar website! Don't forget to enter the code at checkout! your are amazing!! your nails are amazingggg! These are simply toooo cute! Love it girl! wow! I just love how colorful and fun this manicure is! Well done! awww those are so colorful looks so sweet just like candies!!!! I thought I couldn't love this manicure/look/post anymore but then you had to go and style it with an adorable pink bow and sickening yellow liner. I die. I can't stand it. Best! That's a really great way to use those textured polishes! In not a huge fan of the texture effect but in small amounts like here, it really adds to the fun 3D effect! Great idea! Ohhh these look so cute!! Just looking at them makes me happy and puts me in a good mood! WOW! Just love how colourful it is!